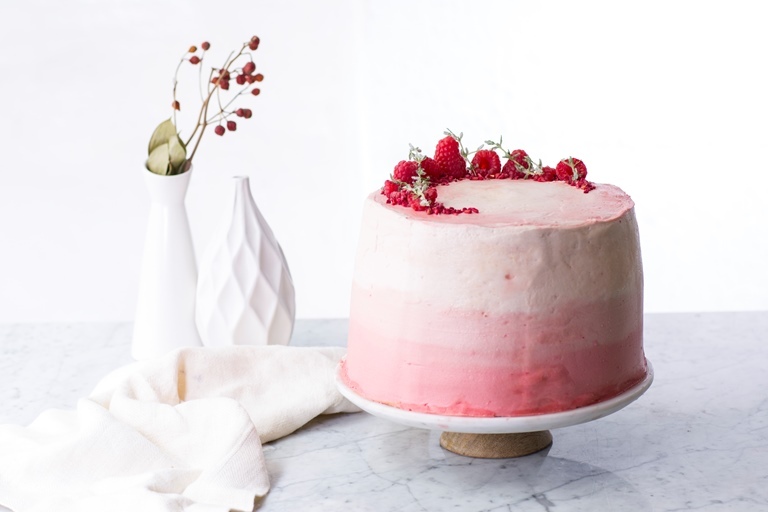 This stunning four-layer ombre raspberry cake recipe is a towering beauty, perfect for those special occasions where only a true showstopper will do. The layer cake is filled with layers of luscious raspberry jam and sweet buttercream, and topped with yet more plump raspberries. Lemon thyme may sound like an unusual flavouring for a cake, but the fragrant, delicate leaves add a wonderfully aromatic edge to the sponge.